To meet the demand of establishing an international tourism island, Sanya Phoenix International Airport has organized a series of foreign language training and promotion activities for its staff. The foreign language training will continue to the end of March, 2011. The staff of all the departments of Sanya Phoenix International Airport will be included in this training and have classes twice a week. Apart from the traditional teaching mode, foreign teachers will be invited to undertake on-site spoken language training. Internationalized talents are in urgent need as Sanya Phoenix International Airport is in a period of rapid development at present. 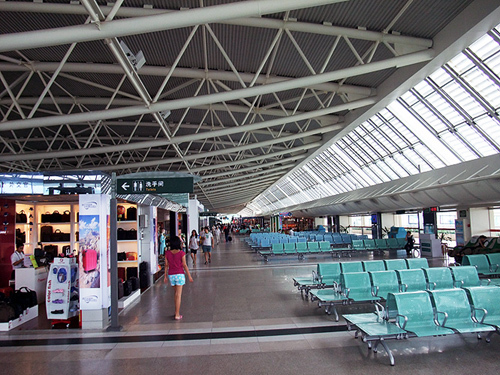 By the end of Oct, 21 more domestic and international airlines have been added to Sanya Phoenix International Airport. To guarantee the high quality of its services, Sanya Phoenix International Airport has endeavored to make full preparation for a larger airline market.